It’s the most common question we get for our Kona Teas: “What’s tulsi?” We wish more people knew about this amazing herb! This multitasking herb is related to mint, sage, and rosemary, and can be used for both culinary and therapeutic purposes. It has a slightly licorice-y aroma and adds a floral note to our Kona Teas. But beyond that, it provides benefits to the body as well as the palate. Tulsi is an adaptogen, which means it has a normalizing effect in the body's system. It helps maintain normal cortisol levels, which helps your body handle stress. Tulsi has antimicrobial properties, and thus supports oral health. It also supports healthy digestion and metabolism. Just like noni, tulsi is both antioxidant and anti-inflammatory. 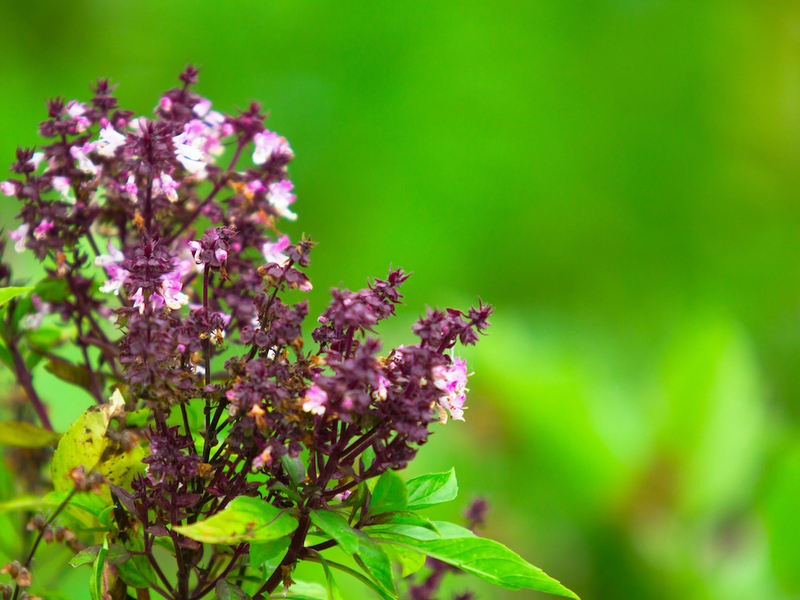 With so many inherent virtues, it’s no wonder that tulsi’s name means “the incomparable plant”! We include it in both flavors of Kona Tea: Lemongrass Mint and Tulsi Berry. And, if you were wondering, tulsi plants do not themselves have berries; “Tulsi Berry” refers to the two predominant notes of that tea recipe: tulsi, and mixed berry. Find stores near you that carry Kona Tea!